If you are considering buying a manufactured home in the near future, then there is a good chance that you are looking into double wide trailers as an option. After all, these are among the most popular types of manufactured homes and they are ideal for the average family in terms of size, number of rooms, and sale price. 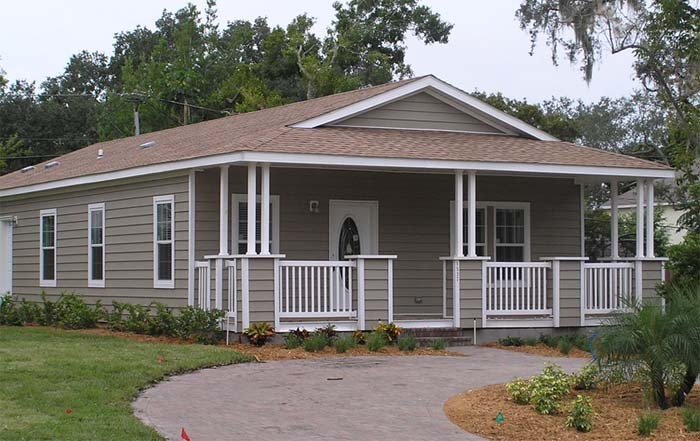 Manufactured homes allow owners to get more bang for their buck in terms of the features that the home has to offer for the low price, especially in comparison to traditional construction homes. For example, even a high-end, brand new double wide typically does not exceed $80,000. So if you are interested in buying a double wide, then you may be wondering what the best way to go about finding double wide trailers for sale. After all, the process can be a bit different than shopping for a traditional home. For starters, you will want to consider whether you want to have a home constructed by a manufacturing company or if you would rather purchase a used one. Both options have their advantages and disadvantages, of course. For example, a new one is more expensive but also allows you to pick and choose the specific features of your home. On the other hand, a used home is a lot less expensive, making it a great choice for those on a tight budget. Used homes may require you to pay for transport to a different lot and do not give the owners the option to customize unless they decide to remodel later on down the road. Most home owners make the decision to find a double wide trailer for sale from a retailer. If this is the decision that you are leaning towards, then there are some certain steps that you are going to want to take in order to have the best chance of success. For starters, just like in buying a traditional home, you will need to get approved for financing. This can often be a time consuming and difficult process, as it may require you to fill out detailed applications and meet with loan officers to decide whether or not you will get approved and, if so, for how much money. When getting financing for a manufactured home, it is important to do research on current mortgage interest rates to ensure that you get a reasonable offer from your bank. Once you are approved for financing, you will want to find a double wide retailer in your area that will be able to create the specific home that you desire. In addition, you may also need to find and purchase a plot of land on which to have the home constructed. With some builders, the sale price is incorporated into the cost of the trailer itself, but this is not always the case so it is something you will want to look into ahead of time. From there, all that is left to do is to sign the necessary paperwork and your home will be manufactured in no time.